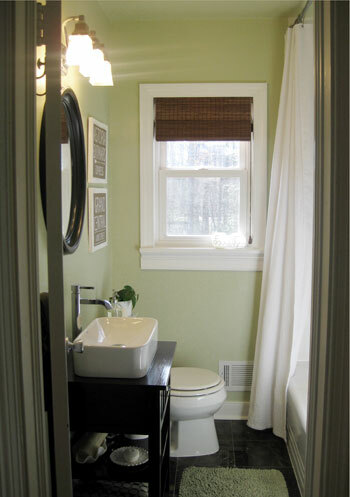 A bold combination of brown and green create a comfortable look inspired by nature. 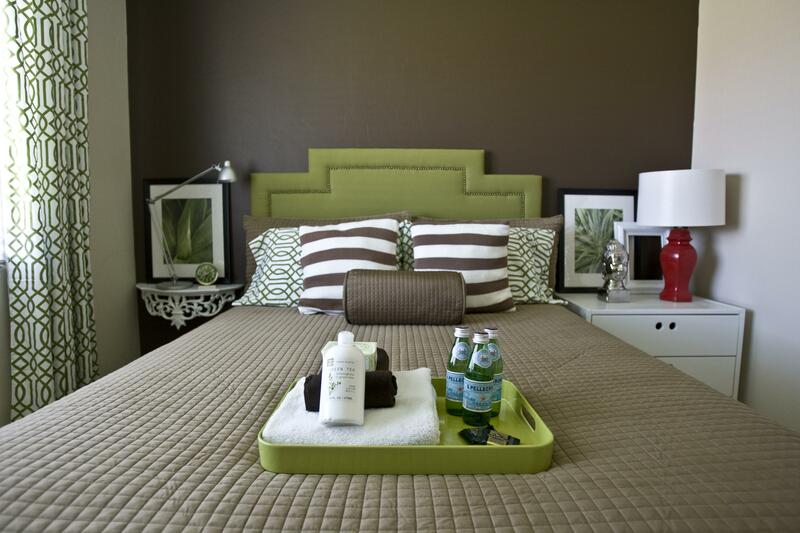 Feminine fabrics, paired with masculine textures, make this the perfect guest room for any home. This kitchen boasts masculine touches, like dark cabinets and a pewter backsplash, alongside elegant feminine details, like a crystal chandelier. 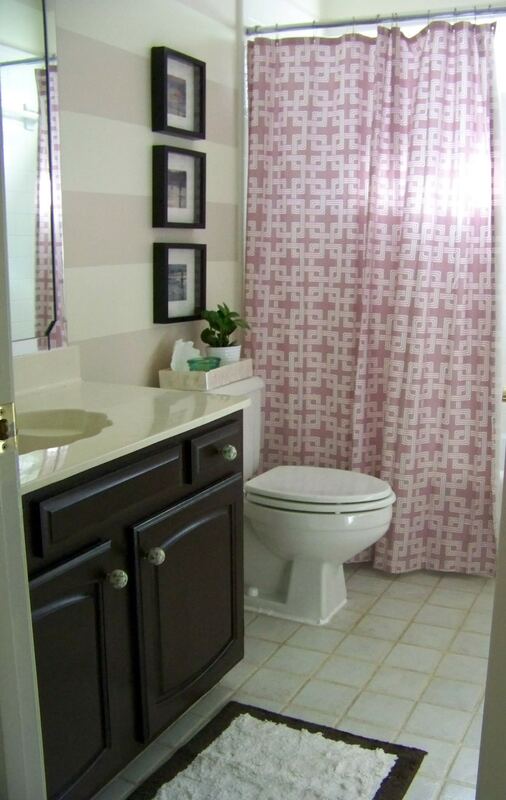 Deep tones of brown give this bathroom a masculine touch, while tones of pink provide a soft appeal. Deep earthy colors, paired with floral prints, stripes and natural basket weaves, create an inviting environment for both men and women. 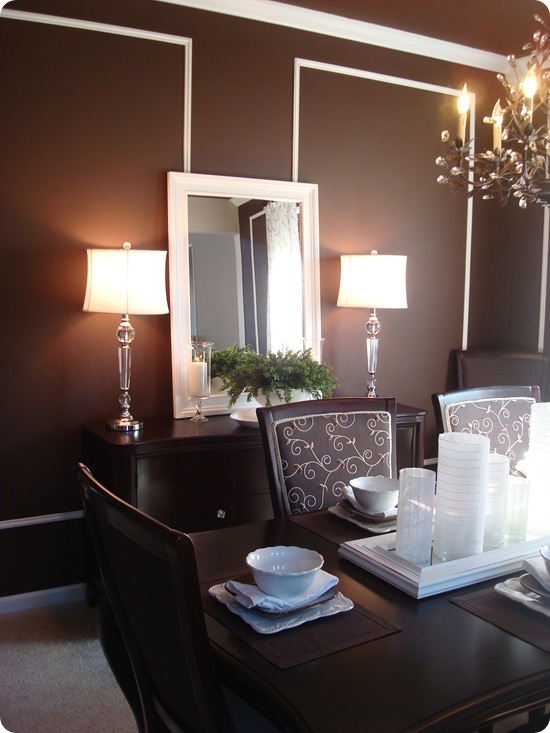 Rich mahogany finishes give this dining room a club-house appearance, while white accents create an elegant feel. A great mix of textiles throughout the space, like the floral-print duvet and the plaid curtain panels, create balance between strong and soft elements in the room. 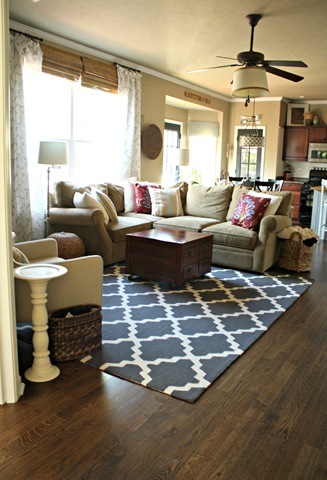 This neutral color scheme is perfect for men and women alike. From the dark tiled floors, to the crisp white accents, this space creates a relaxing atmosphere for anyone who enters. 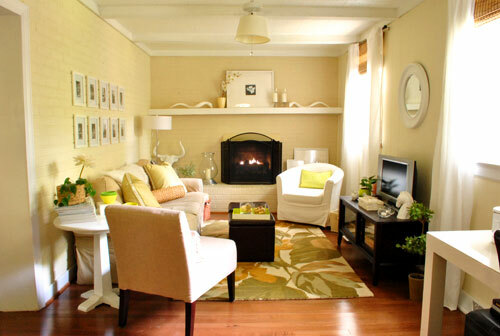 Buttery-yellow walls and large-scale prints make this the perfect space to watch the latest game, or host a girl’s night. White, gray and black create the perfect backdrop for this gender-neutral master suite. 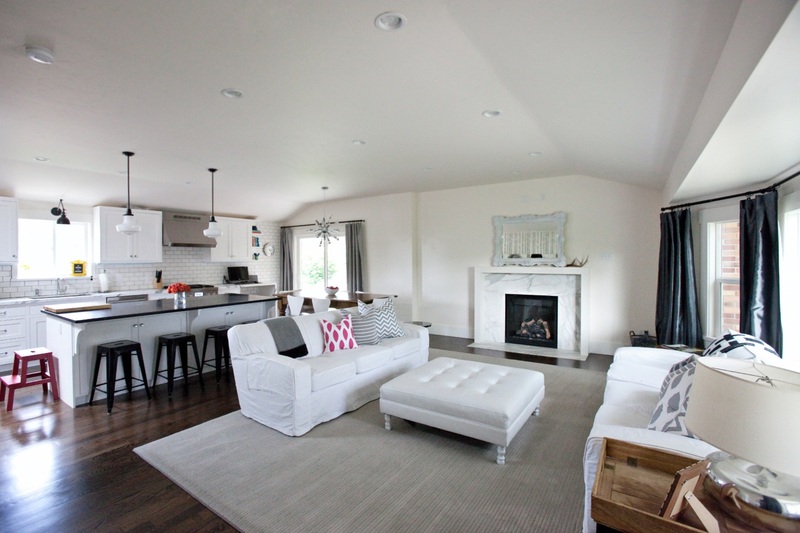 With tiny pops of color and personal accents, both users are represented in the space. 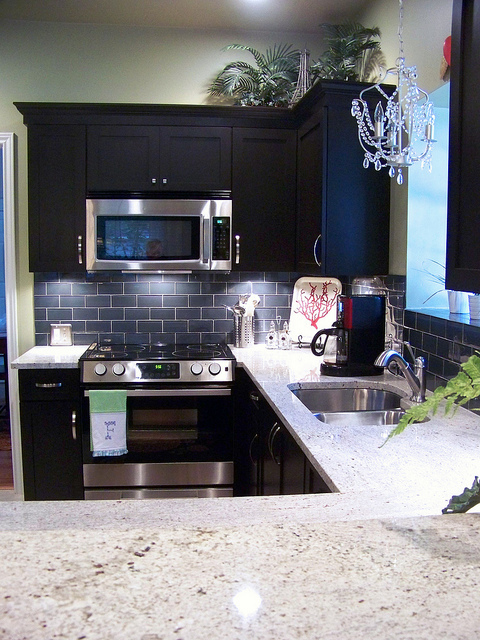 Black metal finishes amidst a space of soft white creates balance between masculine and feminine style preferences. 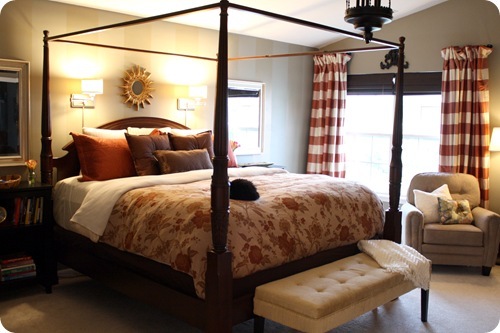 Plus, accessories can easily be added to give the room a fresh new look.